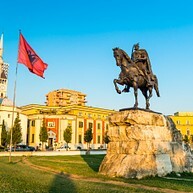 Tirana is a mixture of Western Europe and old Russia, interspersed with influences from the Middle East. The city has overcome its recent troubled past and risen as a gem of Eastern Europe. The modern Tirana is full of restaurants, nightlife and hotels, and has rediscovered itself and become an energetic, vibrant and cosmopolitan city that it is worth exploring. Opening hours: Opening hours vary, but shops are generally open between 9am and 6pm. Some shops are closed on Saturdays while others are closed on Sundays. Old Communist Regime relics have become popular tourist attractions and are a severe reminder of the recent past. Street signs are still up and coming as tourism develops here. If you ask a local for directions they are given in terms of landmarks. The addresses listed in this guide are often street names only – building numbers do not exist universally here. 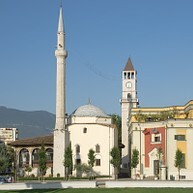 This small, elegant mosque is one of the oldest buildings remaining in Tirana. Many of the various religious shrines were destroyed in the atheism campaign and demonstrations of the late 1960's. Tanners’ Bridge is a newly restored, elegant Ottoman stone footbridge, with colourful Soviet style housing serving as a backdrop. 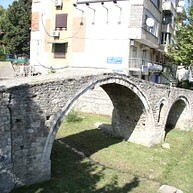 The bridge is a standing testimony to Tirana's development during the 18th century and is considered one of the most important cultural heritage monuments. 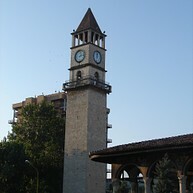 National Museum of History is the largest museum in Albania and holds most of the country’s treasures. There is a gallery on the top floor dedicated to the severe miseries of the communist era. Popularly known as the Pyramid, this museum, opened in 1988, was a tribute to the Albanian dictator Enver Hoxha when it was erected. 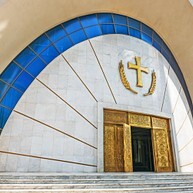 After the regime collapsed, the memorial was converted into a disco and conference center. It is no longer an official museum, but is well worth a look. This was once the Communist Party headquarters. During official parades and demonstrations, this is where Enver Hoxha would stand to wave to the masses below. Mount Dajti towers proudly over Tirana, with its beautiful national park, green forests and amazing views. You can either take the cable car up to the summit, or drive. There are several restaurants up at the top, as well as that special feeling of having the world at your finger tips. 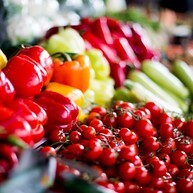 The central market is a gourmet food haven, which captures the spirit of the culture. Local cheese, meat, fruit, honey and homemade raki can be found here. 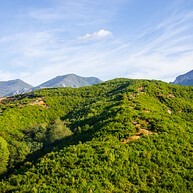 This is a spectacular place to stroll, nibble local food and absorb the vitality of Albanian life. 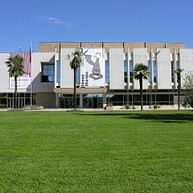 The Archaeological Museum houses an extensive collection of interesting archaeological artefacts from various historic periods. 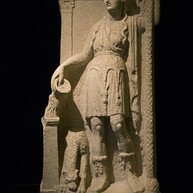 There is also a large exhibition that shows the history of Albania. Even if this is considered a small museum, the many different objects give the visitors a real history lesson of Albania. Several of the paintings are from the communist period and are eye-catching with their bright colours and overwhelming sizes. Right in the heart of the city, on Skanderbeg Square, the statue of the National hero, George Kastrioti Skanderbeg, rises. It is almost impossible to miss and it is one of the landmarks of the city. If you are a good photographer you will be able to catch it together with the Et’hem Bey Mosque and the Clock Tower, all in one photo. Kinema Millennium is a lush garden area, that today offer both relaxation and fun. Once upon a time it was the residence of King Zogu I of Albania and some parts of the garden are kept as it was back then. The other part offer restaurants, bars and a modern cinema. This grand church is located close to the city centre and is as beautiful on the inside as its amazing façades on the outside. It is well visited by the locals of Tirana. This 230-hectare public park is the city's lung. Here you can relax in the green grass by the artificial lake or stroll in the Botanical Garden of Tirana and watch all the beautiful plants and flowers.